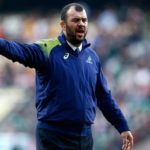 Michael Cheika will reportedly keep his job as Wallabies coach, but have his powers seriously curtailed. 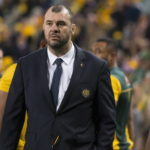 Wallabies coach Michael Cheika’s fate remains in the balance after a Rugby Australia board meeting in Sydney on Monday. 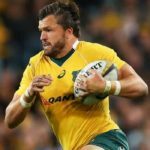 Former Wallabies fullback Matt Burke says coach Michael Cheika has too much control over Rugby Australia after a dismal 2018. Former Wallabies coach Alan Jones has lamented the current squad’s poor results under Michael Cheika in 2018. 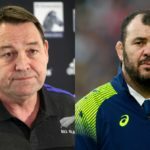 Rugby Australia chief executive Raelene Castle has confirmed that under-fire Wallabies coach Michael Cheika still has the union’s full support. Coach Michael Cheika’s job is not in jeopardy as Rugby Australia prepares to review the Wallabies’ poor Rugby Championship campaign. 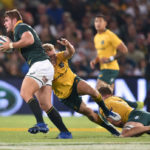 Wallabies coach Michael Cheika admits he was taken aback by the number of changes the Boks have made for Saturday’s clash in Brisbane.